The killing in Thailand’s Uttaradit province by a Thai man, angry at his estranged wife’s family, has caused heightened feelings among surviving family members who are now calling for the ultimate punishment against the gun man. Teerapol Pinamorn is reported to have already confessed to the killings. He now also faces serious fraud charges after a complaint was filed by a Catholic priest in Chonburi province days before the massacre. A Thai killer, who has confessed to killing his wife and her family over one week ago in Thailand’s northern province of Uttaradit, is now also facing serious fraud charges filed by a Catholic priest days before the brutal slayings. 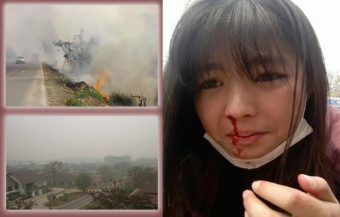 It comes after police held a press conference and reenactment of the crime, just days after the horrendous chain of events. This followed an extensive, nationwide manhunt for the killer which saw the arrest of the former drug dealer with five cars, who also held himself out as a businessman. 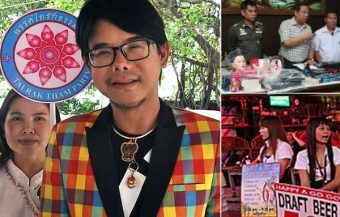 37 year old, Teerapol Pinamorn, who was charged with murdering his wife and five other in laws in Uttardit, a northern province in Thailand, is now also facing further charges of financial fraud. The killer, Teerapol Pinamorn, was arrested in Ranong province just days after the killings and returned to police in the northern province of Uttaradit. Police quickly staged a reenactment of the terrible events which led to the deaths of 5 people, members of his wife’s family, at the local police station there rather than using the actual locations involved. 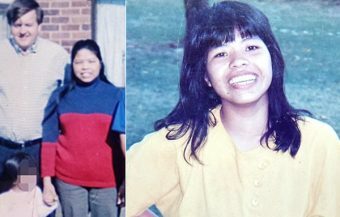 There have been reports of inflamed emotions as the family and friends remembered their dead and others recalled their lucky escape from the killer who gunned down the five people over a property dispute. Thai police have now also revealed that a complaint was filed in Chonburi province by a Catholic priest just days before the incident in which the cleric alleges he was swindled out of nearly ฿30 million by the accused man. Joseph Chaiyo, a 66 year old Catholic priest in Chon Buri, a Thai province situated in the country’s eastern gulf coast, came forward to Thai police just over a week before the killings and revealed that he had been swindled out of around ฿30 million after coming to the assistance of the young man in 2014. The priest filed a criminal complaint against the accused man on January 4th with the Royal Thai Police at a station at Sri Racha in Chonburi, nine days before the accused man massacred his wife and her family in the northern Uttaradit province. 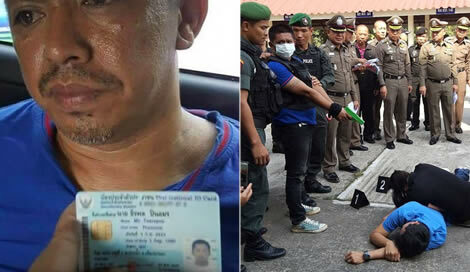 The cleric claimed that the murder suspect had shown him a land registry document for 10 rai of land in Phuket which is the equivalent of 1.6 hectares. He told the Catholic priest that he had contracted a sale of the land for ฿35 million to another party. He told the priest that his bank accounts had been frozen by authorities due to the drug dealing activities of a family member who had been charged with offences. The priest was obviously unaware of the man’s personal background. 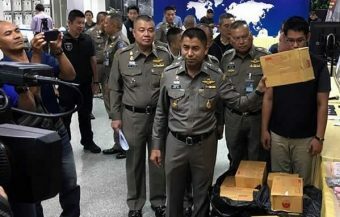 It was revealed last week, by Thai police sources, that Teerapol Pinamorn had served time in Thailand’s prison system in relation to drug dealing offences. 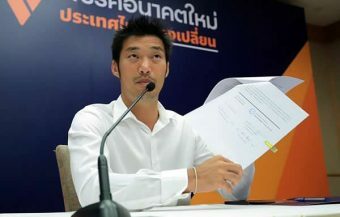 Police also revealed that Mr Pinamorn had applied for over 10 different national ID cards in various provinces from 1979 to 2018. According the police officer who is involved in the fraud investigation in Chonburi, Police Colonel Reungsak Buadaeng, the priest wired money funds to Mr Pinamorn totalling ฿29.8 million which was a loan to be repaid to the Catholic priest. The priest believed that the money lent, which came from strictly legitimate sources, would be repaid by the younger man. In the meantime, the Thai man has been charged with the premeditated murder of his wife and family by prosecuting authorities. He has also been charged with attempted murder of two other extended family members at the property of his father in law on Sunday the 13th of January as well as being in possession of an illegal firearm, the gun used in the murders. After Teerapol was arrested in Ranong’s Kra Buri, the northernmost district of Ranong Province, in southern Thailand, he was taken to face interrogation which was led by Police General Chalermkiat Srivorakan, the national police Deputy Commissioner. 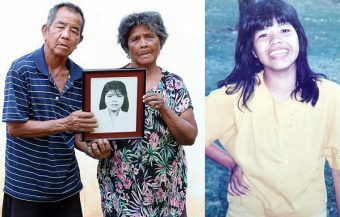 He is reported to have confessed to his outrageous crimes which included the killing of 5 people, including his wife Kanyarat Kingkaew and her 46 year old father Wirat Kingkaew. 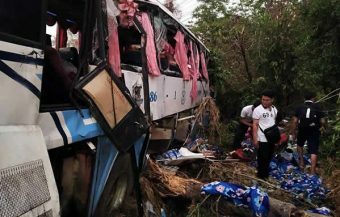 He then admitted to later driving 5 km and killing his mother in law, 48 year old Nampheung Intha-rasit and two of her sisters, her twin Nampha and older sister, 53 year old Kanokwan. When interrogated, he claimed that his in laws had deprived him of his properties, assets and cars. 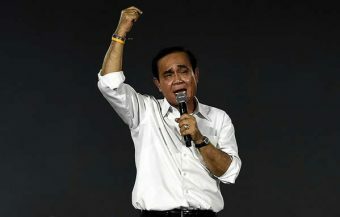 He added that they also had defied him to file a claim to a Thai court in order to get them back. This was the motive behind his anger and the killings that followed. He accepted that he had acted in anger and uncontrollable rage. When confronted by Thai police intelligence that he did not own the gun used in the murder, he explained he had bought it from a man he named as Tam. Mr Pinamorn was arrested in Ranong, his southern home province, but quickly transferred back to Uttaradit. 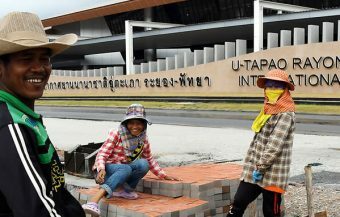 A press conference was held at the Uttaradit Police Office in the northern province in Thailand where the outrage was committed by the suspect. 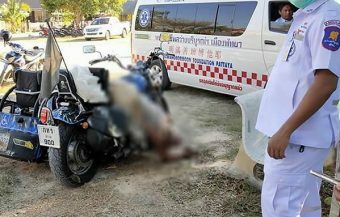 Thai police had succeeded in swiftly arresting the murder suspect, who had originally fled the scene. Police brought him back to the province to conduct a full interrogation and reenactment of the crime. This took place within the precincts of the local Royal Thai Police station. 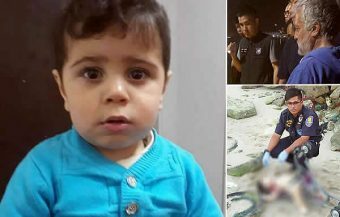 It is reported that it was considered unwise by authorities to return to the actual scene of the crime due to heightened tensions in the aftermath of the horrendous killing spree which had just occurred. The interrogation of the suspect and the press conference was led by Police General Chalermkiat Srivorakan, just three days after the brutal and shocking turn of events. It was an impressive accomplishment by Thai police in their pursuit of justice. In the course of the reenactment, it became clear that the murder was a callous act. A video of the incident has been available online which shows the killer surprising and gunning down his father in law with a handgun before turning it on his Thai wife. The Thai woman did not seem to fear the killer, her intoxicated and angry husband, and instead headed towards her father as her husband wielded his weapon. The poignant photographs from the murder reenactment show an actor standing in for the young woman sprawled on top of what would have been her father’s dead body. Immediately, in the wake of the incident, Mr Pinamorn fled the province and switched from the Toyota Camry car he was driving to another mode of transport. Later, a court in Uttaradit issued an arrest warrant of the suspect. Accordingly, his picture was spread to police stations across the country. According to further investigations, it was discovered that he had had five vehicles, including the Toyota car he had used for his initial escape. 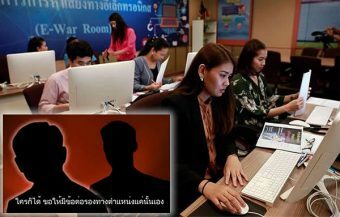 Thai police traced the man initially using mobile phone signals. Thai police continued to trace his mobile signal until the suspect eventually switched his mobile device off. 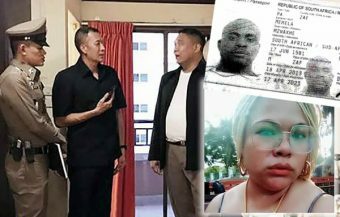 The Deputy Chief of Muang Police in Phitsanulok, a historic city in lower northern Thailand and the capital of Phitsanulok Province, confirmed that Teerapon had borrowed a motorcycle from a hotel maid who said that he had claimed that he wanted to go to the department store, but failed to return. ‘The man might have resorted to using the motorcycle to flee from the area without being tracked by the police men,’ he added. Police later spread the killers’ profile online and published his profile across all Thai police stations. They rightly deduced that the fugitive was heading for Ranong province and quickly apprehended him there in a forested area. The apprehension and arrest of the man also involved the Thai military. 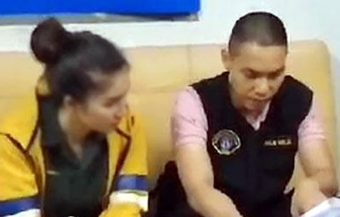 The successful operation saw the man returned to police custody in northern Thailand’s Uttaradit province just three days after the killings and despite an extensive manhunt. Ekkarat Khamheag, Mr Pinamorn’s brother in law, whose wife is the young sister of Kanyarat Kingkaew, demanded the death penalty for Teerapol Pinamorn if he is convicted of these callous crimes. The extended family member, who was himself targeted and wounded by the crazed gunman, told the media that he believed that the man had intended to murder all his family members. The death penalty is still on Thailand’s statute books and is supported by well over 90% of Thai people. In June 2018, Thailand executed its first inmate in nearly ten years when a 26 year old man, Theerasak Longji, was put to death by lethal injection for killing a 17 year old man while attempting to steal a mobile phone. 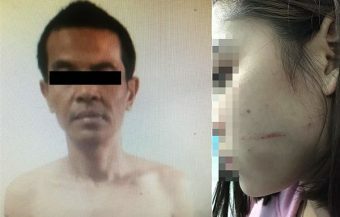 The Thai man, who with his wife, was lucky to survive with his life, highlighted his escape with his wife from the killer’s hands. He spoke to media while paying his respects to the murdered relatives at the Wat Ban Koh Waree, a Thai Buddhist temple, on the day the killer was apprehended in Thailand’s southern Ranong province. He told the press that the killer, Teerapol Pinamorn, had arrived at the home of his father in law attempting to reunite with his Thai wife. 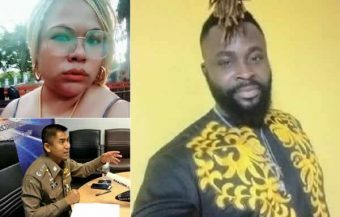 In an emotional interview, he revealed that the killer was met with rejection and an angry exchange from his estranged wife. He believed the man, while intoxicated, had come to attempt a reconciliation. It is understood that his wife’s father was opposed to a reconciliation of the couple. This prompted the killer to draw his gun. He shot his father in law, who had been listening in on the exchange between his daughter and her husband, first of all. He subsequently turned his gun on his wife after she ran to her father’s assistance. ‘Teerapol pulled out his gun and shot dead Wirat and Kanyarat,’ recalled Mr Khamheang. He then recalled that both he and his wife had tried to stop the outrage but that they were shot at by the killer. He was injured in the arm as he fled the scene with his wife and a neighbour. 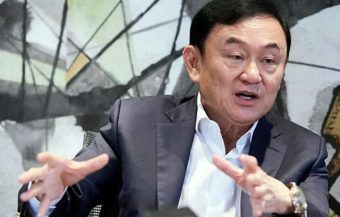 Ekkarat said that Kanyarat, the killer’s Thai wife, and Teerapol often had regular fights and altercations over his jealousy and his involvement in drug dealing. 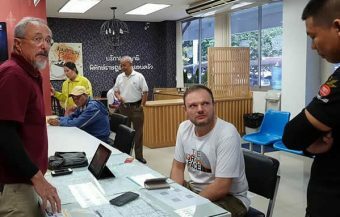 He revealed that his brother in law had claimed the source for his money was a lottery business in Phuket and his dealings on the stock exchange. He also revealed that the killer had assaulted his wife on a number of occasions before the outrage on that fateful Sunday, January 13th. In fact, the killer’s wife had already filed two police complaints against her husband. He said that Teerapol was intoxicated when the killings occurred and that this was not unusual. It is clear from a video of the outrage that his wife was not intimidated by her husband as they exchanged words and even as he drew his gun. Perhaps the unfortunate woman should have been.